Jacob T. Woods, DO, is a board certified family medicine physician who is dedicated to providing high-quality preventive and medical care for every member of your family - including children, adolescents, adults and seniors. Dr. Woods earned his medical degree from the Touro University Nevada College of Osteopathic Medicine. He completed his residency training at Phoenix Baptist Hospital. Dr. Woods is a flight surgeon in the United States Air Force Reserves. He is also involved in community activities with USA Boxing, Rock ‘n’ Roll Marathon and IRONMAN. 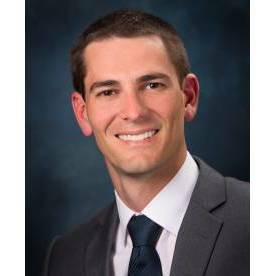 He is also a faculty member at both Mountain Vista Medical Center and Abrazo Central for family medicine residency programs. Dr. Woods is currently accepting new patients at Desert Grove Family Medical. He also speaks Portuguese and Spanish, and enjoys providing medical care to individuals who speak these languages. Should your needs move beyond services provided within our practice, Dr. Woods is a medical staff member of Mountain Vista Medical Center.